Prices are £45-£60 per night, 2-3 night minimum stay. Occasionally odd nights are available give us a call to see! Single bunk beds, comfortable double bed and sofa bed. Food preparation area with fridge, toaster , kettle and microwave. 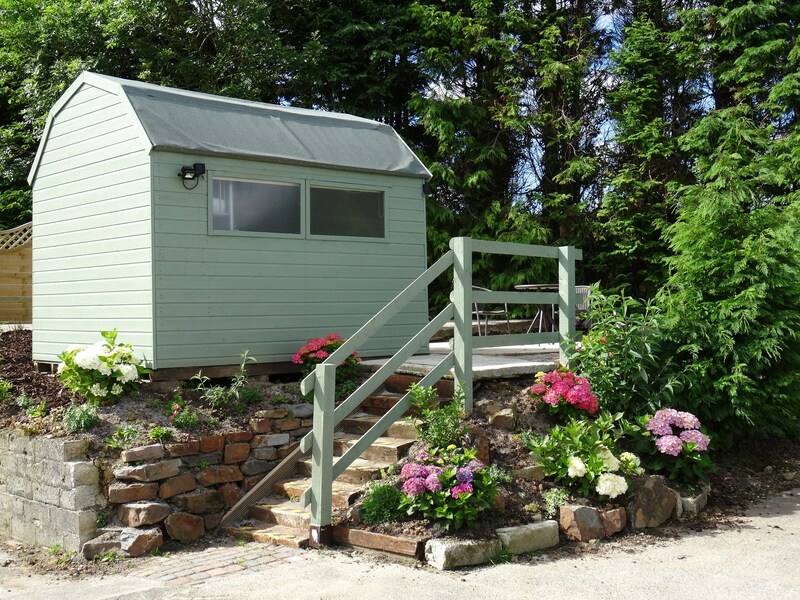 The Beach hut is situated in a relaxing sunny corner overlooking the campsite. Bring all your own bedding and equipment. The fire pits, hammocks, and stream are a few minutes walk, and the hot showers and games room are just a stroll away. Short breaks available for family camping in Cornwall, Devon. Please telephone 01288 331492 for more information. Sleep in comfort in one of our insulated cabins. subject to availablity. Must call to get these prices !